The Roland keyboard is the standard for keyboards in the music industry and has been for the last 45 years. These are going to give the musician endless hours of exploring sounds and possibilities. Roland keyboard beds are the some of the closest things to playing a real piano that you can find. 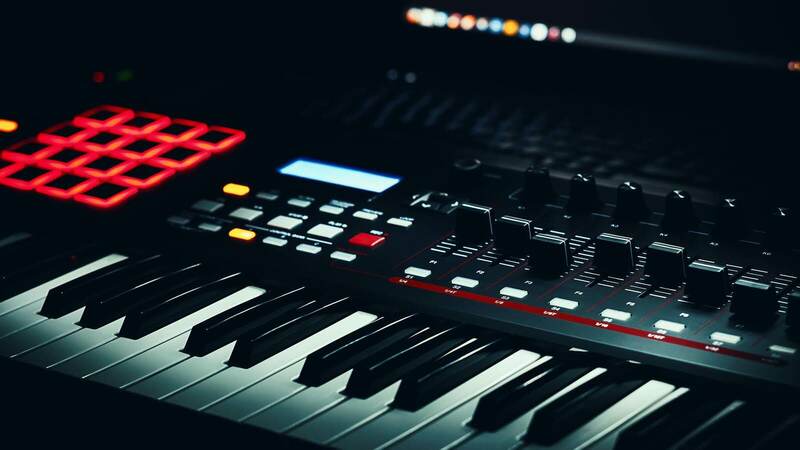 Aside from keyboard workstations, they also make incredible sounding synthesizers that will have you spending hours on hours exploring and creating sounds. We’re going to be looking at keyboards, synthesizer’s, digital pianos, and MIDI controllers. Synthesizer, Keyboard Or Digital Piano? If you’re a beginner and you’re looking at keyboards it is important to know just what kind you would like to purchase. These keyboards can do many different things and it is going to depend on what the user is looking to get out of them. 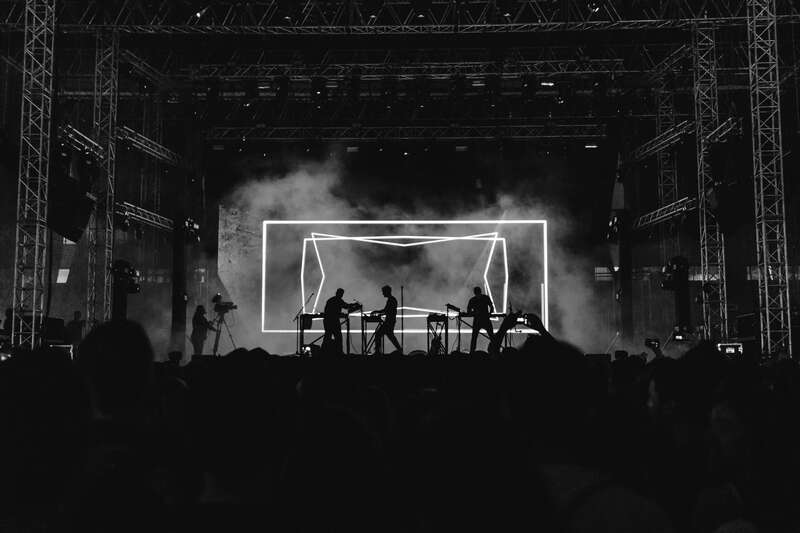 A synthesizer is going to give the musician all sorts of different sounds and it is the route that many musicians who are looking to play in bands go because of this. If you’re looking for a keyboard that is portable and cheap, then you will also have some options. A digital piano is going to be more pricey, but if you’re looking for an instrument for your kid to begin piano lessons on, Roland makes high-quality digital pianos. If you are new to the piano, I recommend checking out the best metronomes for pianists here. The amount of keys on your keyboard is important because having fewer keys can limit pianists. Most synthesizers are going to come with fewer keys, but this is because you don’t typically need as many keys for synthesizers. 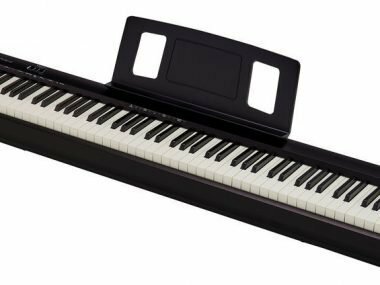 Musicians playing classical piano or jazz are going to want something that has 88 weighted keys. How much are you looking to spend? You can end up spending a lot of money and it’s important to know your price limit. This comes down to knowing who you’re buying for. If you’re buying for your kid and it’s their first time, you can get a cheaper product or digital piano to test the waters. This company is going to give you more life than a cheaper brand like Williams. Do you want it to be MIDI capable? This means, do you want it to have the ability to plug into your laptop and access hundreds of new sounds? If you’re playing classical or jazz piano you will definitely at some point want weighted keys. I learned the first few years of being a pianist on a cheap Casio product, and as soon as I upgraded to a digital piano my finger dexterity increased ten-fold. The weight of a keyboard can be important seeing how the workstations used to be very heavy. The new workstations are about 30 pounds less than what they used to be. I believe this is because touring musicians can’t stand touring with 75-pound products. 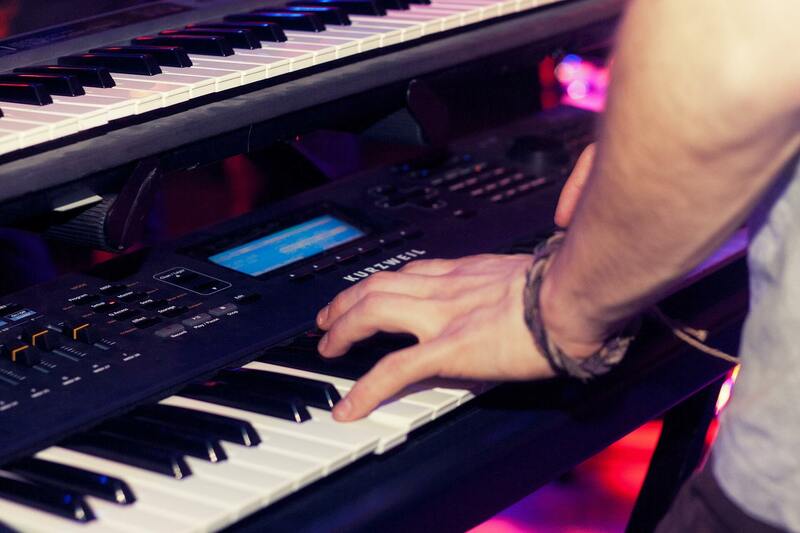 We hope this list helps you pick the best keyboard to fuel your playing and writing addiction. When purchasing a keyboard, the experience is going to be much different than purchasing a MIDI controller. MIDI controllers are meant for music producers and live musicians who don’t’ want traditional keyboards. I recently talked about these in depth at the link above. Roland keyboards usually tend to blend the traditional synthesizer with a workstation. Some of them are going to be synthesizers exclusively. The Fantom series has been being developed for quite some time now. The FA-08 is a workstation that you will be able to use for the rest of your life. This has a key bed that feels like you’re playing a real piano. I own this Fantom FA 08 and I use it pretty much every day of my life. This keyboard only weighs 35 pounds, which is crazy because the Fantom G8 weighed 74 pounds and was a little more difficult to tour with because of the weight. If you are going to be touring, the Fantom FA-08 is the instrument for you. What they do so well, is they make their workstations be MIDI compatible. Being MIDI compatible means that if you are looking to hook up to your laptop and record and explore more sounds, you can do so very easily and also do so with the luxury of an amazing keyboard bed. The Fantom FA-08 is an extremely powerful, light-weight studio and MIDI controller all in one. The FA-08 is their answer to MIDI controllers and also is the upgrade to the Fantom G series. They made this product line available in three different models. If the price for the FA-08 is a little too pricey or too big for what you’re looking for, the FA-07 and the FA-06 are alternative options and are the same product, just with different key beds and fewer keys. The Fantom FA-07 is 76 keys and the FA-06 is 61 keys. They have done a very good job at making products that stand the test of time and the Fantom series is a tremendous example of this. This is definitely an investment and the price tag also reflects that. However, when compared to others that you can find for around the price, this workstation gives you so much more for the price. Some of the top end MIDI instruments now are upwards of $1,000 and they only work when plugged into a laptop. The Juno DS-88 is for the touring musician, as well as for the classical piano player looking for an affordable, yet a quality product that you can use at all levels. Its key bed is the same as the Fantom Series and this is something that makes this instrument special. It is a lightweight keyboard, making it extremely easy to tour with. The Juno DS-88 will give you very realistic sounding pianos and organs and the ability to bend them to your liking. The Juno series began in the 1970s and they have given us a keyboard now that lives up to the hype that the original Juno’s did. This comes equipped with over 1200 different patches, with each patch being unique. The Juno DS-88 is also a MIDI controller, which makes it also very appealing to touring musicians who may want an affordable keyboard that has a really nice key-bed. The Gaia is a synthesizer that is good as an introduction to synthesizers. It comes with a built-in easy to use arpeggiator and it has the capability to produce very large and rich sounding pads and basses. With only 37 full-size keys, this synthesizer is extremely portable and I think it gives you more bang for your buck than say a Micro Korg. This is one of those products that you hear a patch and instantly want to write a song based around that specific sound. This device only weighs 10 pounds so it makes for an easy to travel with a synthesizer. They made this product to compete with some of the portable synths out there on the market and I think this synthesizer outshines most of them around its price. You’re starting to see this more and more with newer products and this is something they are doing extremely well. With three oscillators, resonant filters, and 9 envelope generators, it’s like owning three different synthesizers in one. The price of this synthesizer is something that is extremely affordable, especially for a synth like this that will last you throughout your musical journey. Comparing the Gaia to what other companies are putting out, the Gaia definitely gives you the most bang for the buck. Let’s take a look at some of the specs and things that make the Gaia a great buy. 500 sounds for maximum creativity. A cool feature with the Go is that it’s Bluetooth ready so you can connect it to a speaker. This is portable and it is going to be on the cheaper end and we recommend this for kids, beginners or a musician who is looking for a cheaper instrument to take with them while they travel. In addition to the Roland GO61, there is also the Roland Go:88. Check out my review here. The VR-09 is a powerful electric piano that comes loaded with very organic sounding patches including piano, organ, and basses. This is a very powerful instrument that comes with 9 sliders for tone and effect shaping. I would recommend this to players who are experienced and love rich sounding pads and organs. You can’t really go wrong with something like this and it is very sought after. The F-140R is a digital piano that doesn’t come with a ton of features, but it comes with 305 different organic sounds, as well as a fantastic key bed. One of thing we talk about with this company often is their ability to make a key bed that feels like a real piano and this is definitely a digital piano that feels real. I recently put together a list of all of my favorite digital pianos on the market. I thought it was very informative and I think you will enjoy it. The System-8 is an extremely unique synthesizer because it gives you access to all of the classic synthesizers. It is an analog synthesizer that delivers some really lush sounding pads that they are known for and it also comes with a built-in arpeggiator as well as a vocoder. The JD-XI is a great synthesizer for hip-hop production. This synthesizer is often compared to the Micro Korg and I think this synthesizer is a much more powerful instrument than the Micro Korg. If you’re a fan of the Micro Korg, you will surely like this synthesizer as it gives you more freedom and sound tweaking ability. The JD-XI is a digital crossover synthesizer that has an analog engine, but digital oscillators. It comes with a built-in vocoder that has some really in-depth effects. The JD-XI comes with drum samples that are really good for hip-hop production and it has some crazy sounding 808 samples as well. This synthesizer is also very light compared to other synthesizers. If you’re looking to record, the JD-XI comes with MIDI so you can plug directly into a laptop or computer to record or write. The sequencer in the synthesizer is very powerful and is also easy to use. My opinion is that the FP-30 is affordable and it is also quality. I’ve played on this digital piano before and when I did I was blown away. The action and feel of the keys feel perfect to me. The FP-30 is the rival to the ever popular Yamaha P-115. I think that the FP-30 keyboard just feels and sounds much better and it is in a similar price range. I think this product is unique in the sense that it also has Bluetooth connection abilities in case you want to use it as MIDI. If you like the FP-30, I recommend checking out my review on the Roland FP-10. This Roland keyboard is becoming popular and I think Bluetooth is going to be really popular in the next few years with digital pianos and in the keyboard world in general. This digital piano comes with a headphone jack for players that need to keep the noise down at times. I personally have always liked digital pianos with headphone jacks just for times when I was practicing a piece over and over and didn’t want everyone to hear my mistakes. Let’s look at some of the specs below. This could be the best keytar on the market right now. It has a ton of features that its predecessors never had. The internal sounds blow all other internal sounds out of the water in my opinion. Its functionality is also just supreme in every single way. It really can do a lot of different things and it also comes loaded with a bunch of internal sounds. This instrument is loaded with great presets and it can also be used as a MIDI controller. Check out our product review here for more on the Ax-Edge. How Important Is A Headphone Jack For My Keyboard? This depends on your situation and what you’re looking to do. Some musicians initially hate using headphones with their keyboard, but then as soon as they try it, they love it. If you’re looking to practice without people hearing you, get yourself a decent pair of headphones and plug into the jack on the back of your instrument. I really like the sound that my instrument produces through my headphones and I think more people would like it if they tried it. Should you buy a Roland or a Korg? This is a tough question and it is going to be a preference in some regards. Roland is more well known than Korg I would say for synthesizers. Yes, Korg has made some amazing synthesizers in the day, but going back into the ’80s, their synthesizers have been iconic and used all over popular music and film scores. As far as digital pianos and workstations go, Korg does make some very high-end products, as well as Roland. I have always liked both of these brands, but I have always been partial to the Fantom Ivory feel piano keys on their products. The key-bed on the Fantom series feels like real ivory piano keys and to me that can’t really be beaten. I like the Go-61. This is cheap, yet it has a lot of features. Keep in mind, if you buy a keyboard for your kid, the key-bed will not be weighted keys. Now, everyone is different, but if it’s your kids’ first instrument, this isn’t a bad thing. Digital pianos and acoustic pianos can cost a lot, so it is very wise to try and find a good in between before going all out on a purchase. Check out my review on the best products for kids here. I really break down which are the best and why in full detail. What Kind Of Keyboard Is Best For Me? This depends on exactly what you’re looking to do with your keyboards. 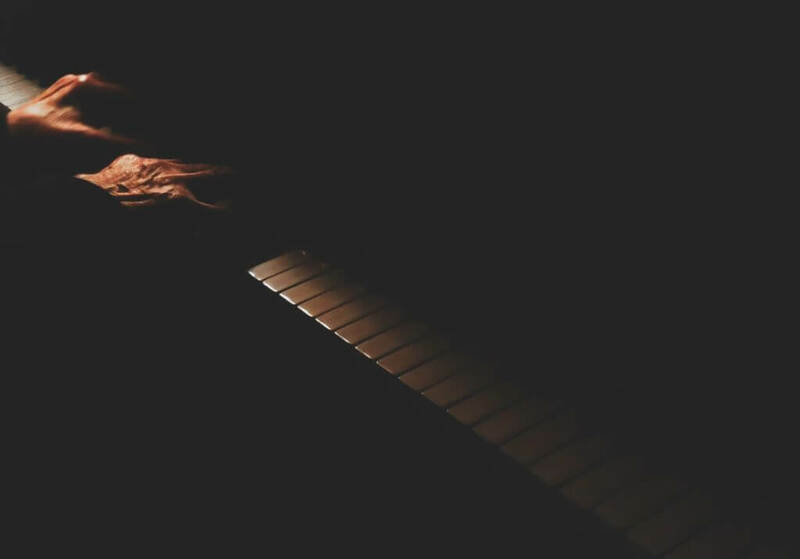 For musicians who are looking to learn classical and or jazz piano, we recommend a digital piano. If you’re a musician who is just starting out, we recommend a cheaper keyboard to test the waters. For musicians who are looking to play in bands and play gigs, a synthesizer is going to be a great start. The Go also has some crazy features since it was built for traveling musicians who are looking to use a MIDI controller and make music with. They have outstanding keyboard beds in general. I have found that their key beds don’t feel as plastic heavy as some of the other products out there. I have played on pianos that have ivory or half-ivory keys and the keys feel as close to this as you can get in a digital piano. The key-action is also going to be very important when playing a keyboard. The good thing is that a Roland product has incredible action. It is almost like playing a grand piano with the way the keys spring back to your fingers. Yes, in almost every way. Sustaining notes is very important when playing the piano and it will help you in the long run if you have one. If you are buying a synthesizer you can get away with not using a sustain pedal though. For keyboards and digital pianos, I recommend a sustain pedal even if it’s on the cheaper end. A cheaper sustain pedal will last you a while as long as you’re not standing and going crazy on top of it. You don’t need a sustain pedal as a lot of the sustain pedals today are universal. Roland does make a triple pedal that has sustain, the sostenuto, and the soft pedal. This unit is much more expensive than a universal pedal, however, it is quality if you want your keyboard or digital piano to have the same pedals on an acoustic piano. Many people really enjoy this, but this is not something that you need by any means. Roland keyboards really hold their value well. Some of the vintage synthesizers are still very expensive and they aren’t really coming down in price. I’ve had Roland products for 10 years and looked back to see that they weren’t too far of what the retail was when I originally purchased them. The sound of their pads and strings are second to none in my honest opinion. I recently played on a Paraphonic from the 1980s in the studio and I immediately wanted to purchase it. These keyboards sound extremely warm and wide. Pretty much every sound on the Paraphonic had me wanting to hear more and write more. They have always been known for having warm sounding pads and this is mainly because they’re analog keyboards. Some pads by other brands can be a little harsh in the high end and their pads have always just had that warm sound to them. We hope this list provided you with the information about Roland keyboards that you were looking for. There are some vintage synthesizers that we didn’t put on this list because they are no longer being manufactured. If you believe I left something out or you have something to add, feel free in the comment section below!